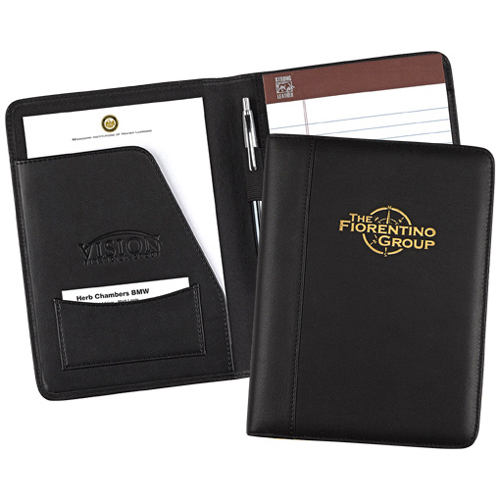 This beautiful junior leather pad folio is equipped with a 5" x 8" writing pad. Compact design is perfect for business on the go. *Production time begins after artwork approval and does not include shipping time.